If you’re eligible for a VA loan and looking for the loan program requiring as little cash to close as possible, the VA program should definitely be in the mix. Not sure if you’re eligible? The only way to verify if someone is eligible for a VA loan is to contact the Department of Veteran’s Affairs directly. You can contact the VA on your own but the most efficient way to get your Certificate of Eligibility is to have your loan officer make the request for you. VA approved lenders have access to a special system called the Automated Certificate of Eligibility, or ACE. With just a few keystrokes your loan officer can get this certificate within a matter of moments whereas it may take several weeks to get your certificate on your own. Those that are eligible include not just veterans but also active duty personnel with at least 181 days of service. National Guard and Armed Forces Reserve members with at least six years of service are eligible as are unremarried surviving spouses of those who died while serving or as a result of a service related disability. Even though you’re positive you comfortably fall into one of these categories you can’t move forward with a VA loan application with a copy of this certificate in your loan file. We mentioned the VA loan doesn’t need a down payment. That doesn’t mean you can’t make a down payment if you want but it’s not needed and rarely used. VA guidelines also restrict the type of closing costs the veteran can pay which again lowers the overall cash to close needed at the settlement table. Borrowers may only pay for an appraisal, credit, title, origination, recording and a survey where needed. 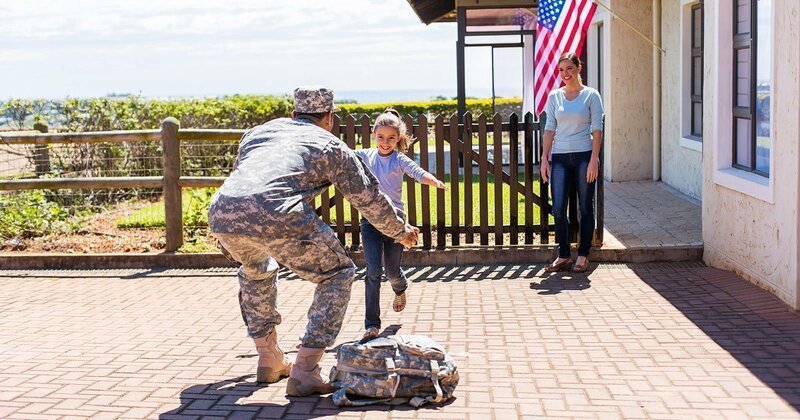 In addition, VA loans, even though there is no down payment, do not have a monthly mortgage insurance payment like other low down payment mortgages do. This enhances affordability and increases buying power. Interest rates for VA loans are also very competitive and offered in both fixed and adjustable loan types. VA loans also provide a guarantee to the lender at 25% of the defaulted loan amount. This is rare however because VA loans are typically the lowest risk of any loan in today’s mortgage marketplace. This guarantee is financed by a Funding Fee which does not have to be paid for out of pocket and typically rolled into the final loan amount. For those with a service-related disability the funding fee is waived. So, the choice is obvious, right? No down payment, lower closing costs and no monthly mortgage insurance. If all three of these features fit into your plans, then the VA loan is hard to beat. But if you do have a down payment you might want to look at other options. If you look at an FHA loan you’ll need at least 3.5% for a down payment. If you have more than that available, say 5% or 10%, you may want to consider a conventional loan. If you keep your conventional loan amount at 80% of the value of the property, there will be no monthly mortgage insurance payment. You can then take out a second mortgage to make up the difference between 80% and your down payment. If you have a 10% down payment, lenders refer to this type of structure as an 80-10-10 loan or with a 5% down payment, it’s listed as an 80-15-5. The third number is the amount of your down payment. Finally, if you have a 20% down payment, a conventional loan will still work best. Even though interest rates for VA loans are competitive with conventional loans, the funding fee required for VA loans increases the loan amount and raises the monthly payment. If you’re eligible for a VA loan or think you are, it’s time to have a conversation with your loan officer who can provide you with a series of financing options that meet your requirements.